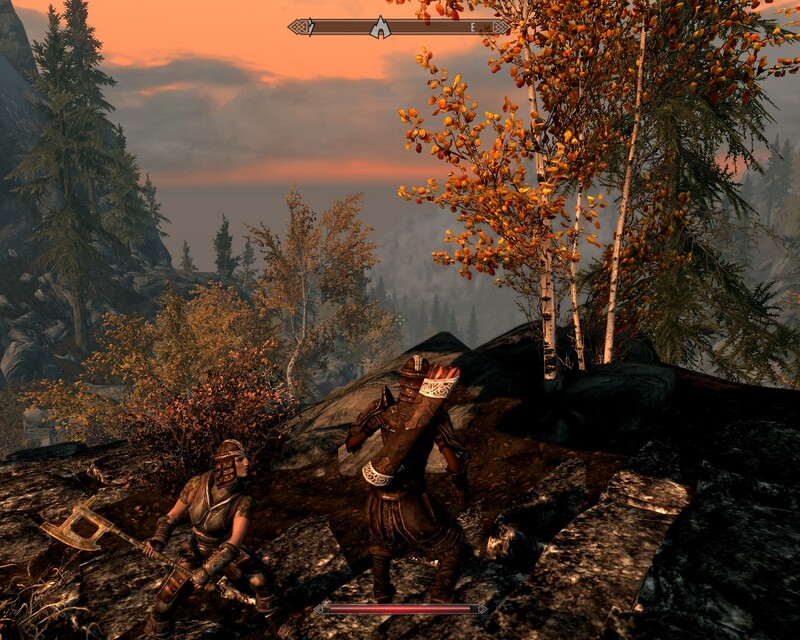 I’ve been pacing myself on Skyrim– some of my friends have finished the main quest already; I’m almost ignoring it. I went to meet the Greybeards, but that’s it so far. I’ve been perfectly happy fetching lost swords and the like for people. Finally, more or less because I was in the area, I headed up to Winterhold and signed up for magic. And that’s been tasty so far. I plan to save the nasty guilds (thieves and murderers) for another playthrough– maybe as a dunmer as the ugliness will fit. I have to say, this game is awfully pretty. No, Lydia is not attacking me. She doesn’t even have any points in Sneak. It bugs me sometimes that the world is so desaturated. Everything seems like it’s in shades of brown and gray– though I have to say that they’ve really learned how to capture the appearance of metal. Not a dunmer. They uglified the dunmer, remember? Marriage is really a perk: your spouse opens up a store in your house, which gives you profits as well as a convenient place to unload goods. Sylgja has some sweet dialog– I like the way she says “my love”– but it’s so repetitive that there’s not much point to staying home. 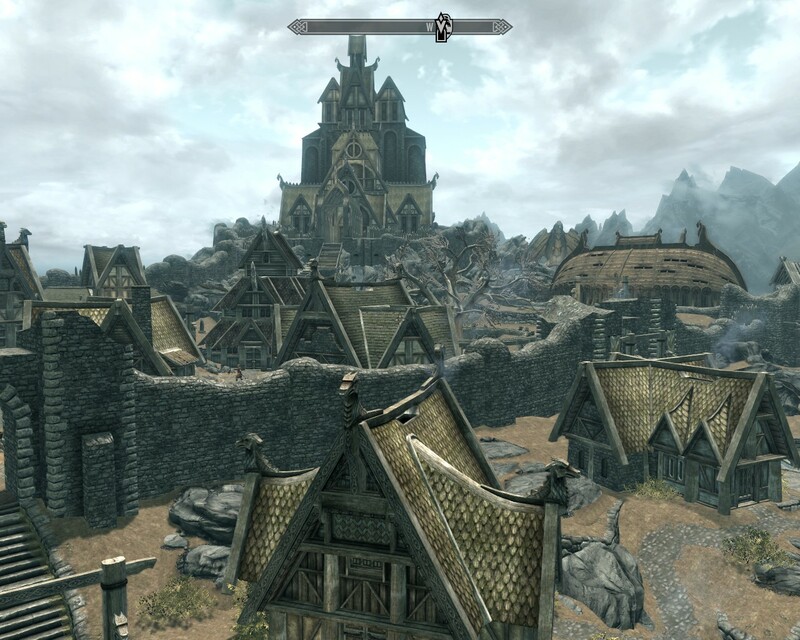 It’s nice, however, that the cheapest house, in Whiterun, is actually pretty nice, especially once it’s decorated. Much nicer than your Imperial City shack! 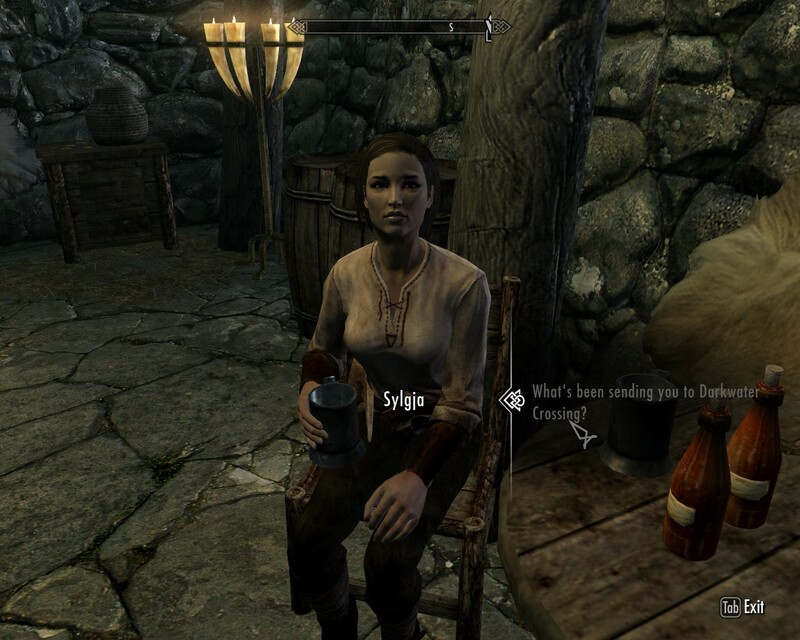 I’ve grown fond of my companion Lydia, too. She’s a help fighting most anything, and tends to see that one last enemy better than I do. 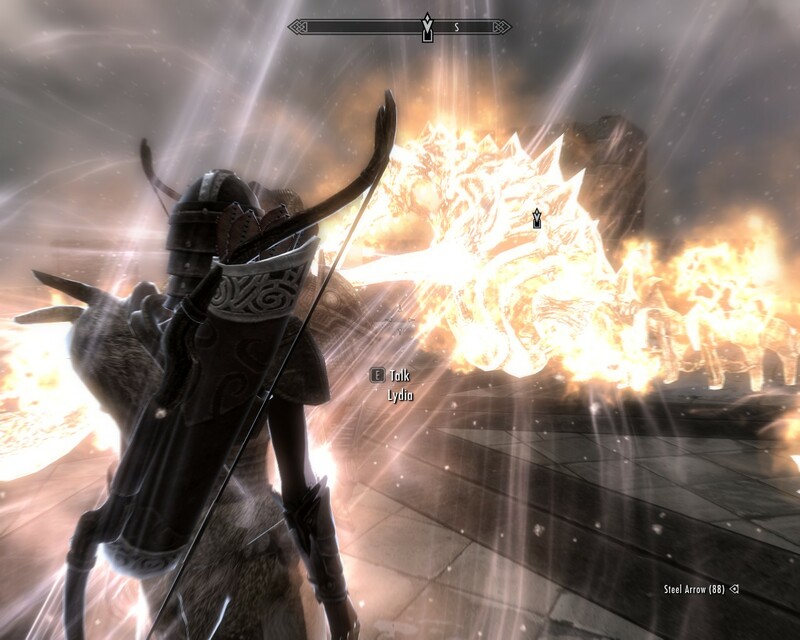 A couple times I’ve had to reload an earlier save because she can be killed by friendly fire… area of effect spells can be troublesome. I appreciate the fact that the main conflict is a) so ignorable, and b) not clear-cut. It’s pretty sophisticated for a video game.